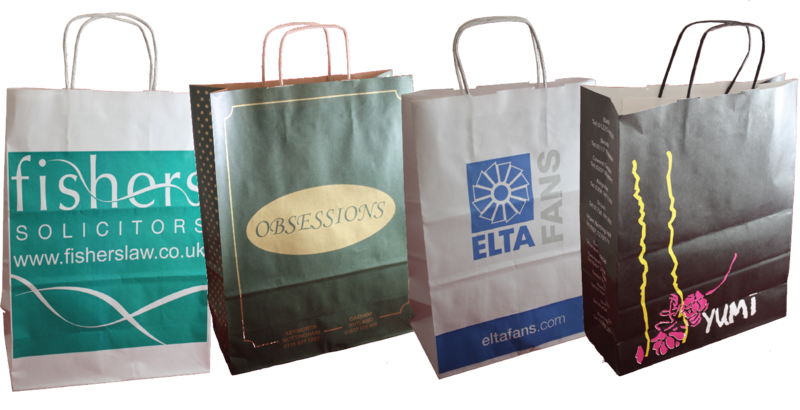 Paper handled bags are a high-quality alternative to rope handled paper bags. They are a particularly effective marketing tool for the exhibition and promotional market and are very popular with retailers as they are often reused by customers. Paper handled bags are machine finished with twisted paper tape handles glued to the body of the bag. Standard handles are available in white or brown. Coloured handles are available, to coordinate with the body of the bag or enhance the colour of your printing, at an additional cost. These prices are based on 10″ + 5″ x 14″ bags, printed one colour flexographically to both sides and fitted with white or brown paper handles. Prices include delivery.